This photo by Patricia Zavalza, from the College of Health Sciences at Rush University, was featured this week on Fox Chicago News. Rush’s new hospital building, set to open in early 2012, is on the left. 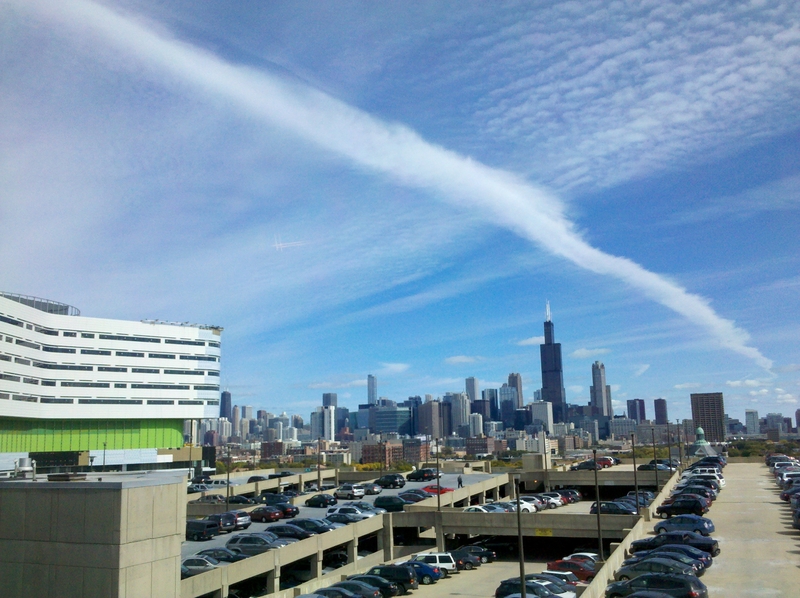 While displaying Zavalza’s photo, Fox meteorologist Mark Strehl explained that the long white streak was a condensation trail from a jet, while the other clouds were cirrocumulus clouds predominantly made up of ice crystals. This entry was posted in New Hospital Building, Rush Transformation, Rush University. Bookmark the permalink.